You have never surfed before. You are on a vacation in Canggu and you would like to try surfing. 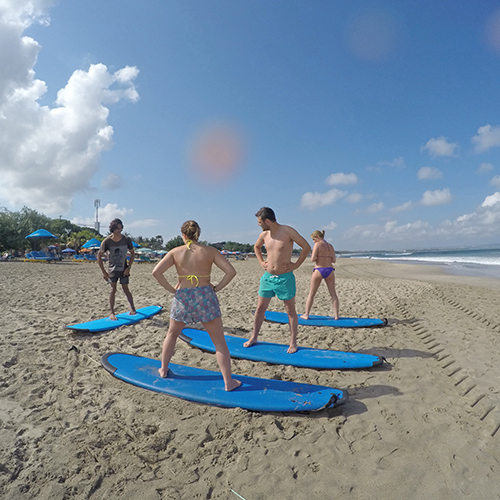 A beginner surf lesson will then be the perfect match for you. 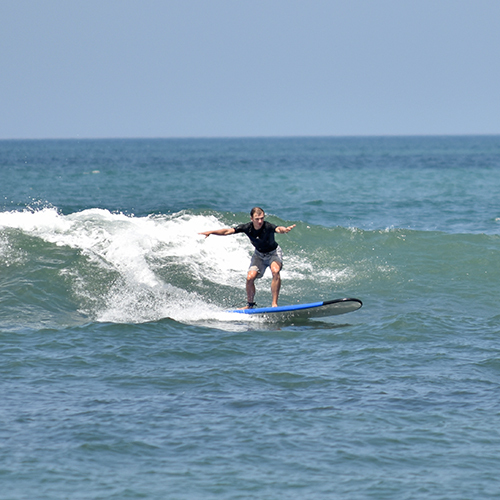 If the surf conditions are not suitable for beginners in Canggu, our surf guide will choose the surf spot with the right conditions for your beginner surf course. You can be sure to be safe, as our surf teachers are experienced surf instructors and lifeguards for many years. They know exactly how to make you feel comfortable with the ocean and the waves. * If you are not sure if we provide pick up from your area, just contact us! You should know how to swim at least in waist hight water. But you don’t need to know anything about surfing at this stage. This is why you are here for, right? 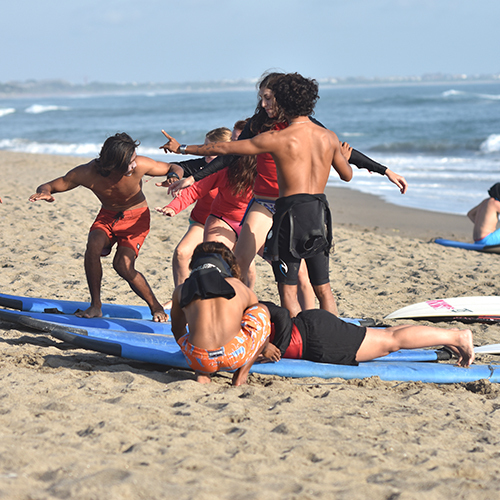 But even if you have already attented a surf school before, maybe years ago and you know how to stand up on a surf board, this course will be suitable for you. We will bring your surf skills to a new level. What is a private beginner surf lesson? This is a personal surf lesson only for you, basically a one-to-one-lesson: one student on one surf guide. Full attention is on you! 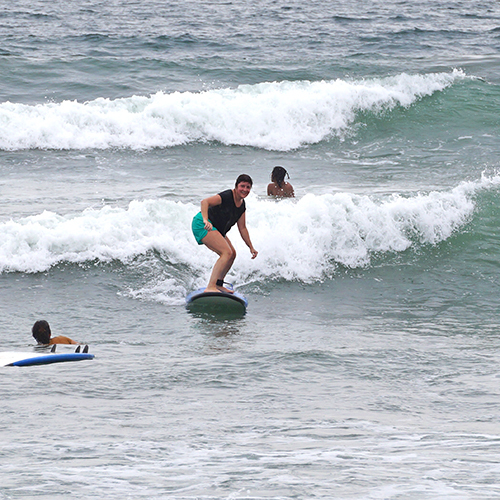 Unlike other surf schools, we will check the surf conditions and choose the best learn-how-to-surf-spot for the day. You will receive short but important theory on the beach first. After this your surf teacher will give you a professional surf lesson in waist high water or deeper. Only with us: if possible, our surf guides will let you ride a green wave straight away to give you the feeling of real surfing right from the beginning! You will learn how to paddle and how to stand on the board. We promise you will feel awesome after every surf lesson; and tired as well. It only takes one wave to get carried away!